"Breaking," or laughing in the middle of a scene, is I think technically something they tell comedy people to try to avoid. I can't for the life of me figure out why, though, because when it happens it's pretty much the most adorable thing that could possibly interrupt a comedy show. 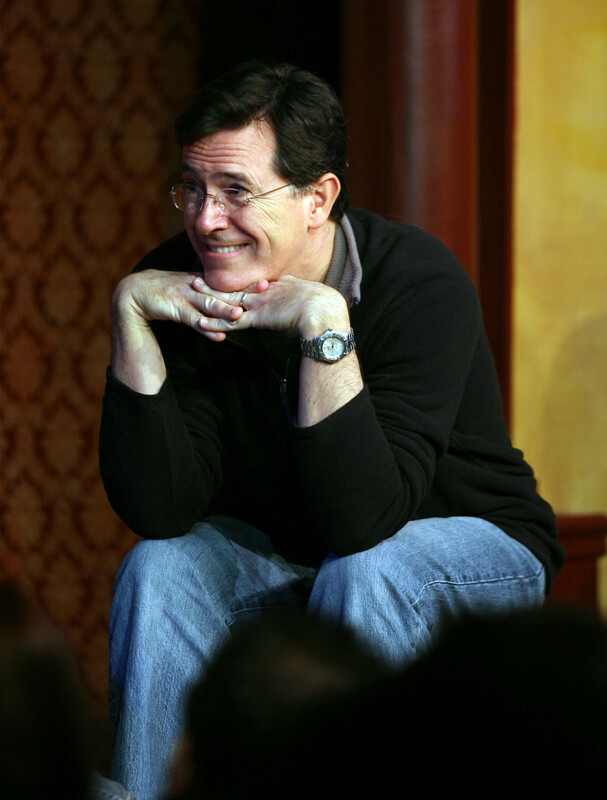 Which is why this compilation of five minutes of Stephen Colbert breaking on The Colbert Report is really effing cute. If you need a reminder that Stephen Colbert is a delightful human being with one of the best jobs in the world, this is it. Of course, you can get that most weeknights by tuning into The Colbert Report, but the show's on hiatus right now so we need to get our fix somewhere, and where better than a conveniently edited compilation filled with clips of Colbert laughing at things like the fictionalized name "Munchma Quchi" and an elaborate scenario in which he gets a colonoscopy in the photo center at Walgreens? Colbert's role as one of America's top political-themed jesters serves a lot of really important roles — to help us in handling a broken political system to reminding us of all the puns that can be made from certain politicians' names to just making us laugh — and our days are all the brighter when he and his writers are brightening their own, simultaneously.